Happy Flash Friday! 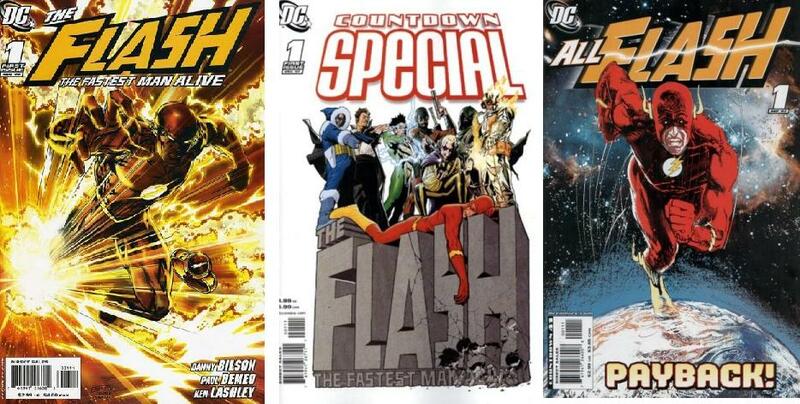 The news has dropped, after Flashpoint we are going to see just about everything relaunched with a new shiny #1 issue. There aren’t a whole lot of details at this point so I won’t really speculate on what the new series may or not bring. Since I’m currently away at Heroes, I thought a fun “light” column for today would be to take a look at the covers of the other Flash #1s out there. There are a number of issues I’m not listing here; I’m just looking at the covers with a big number 1 on them. 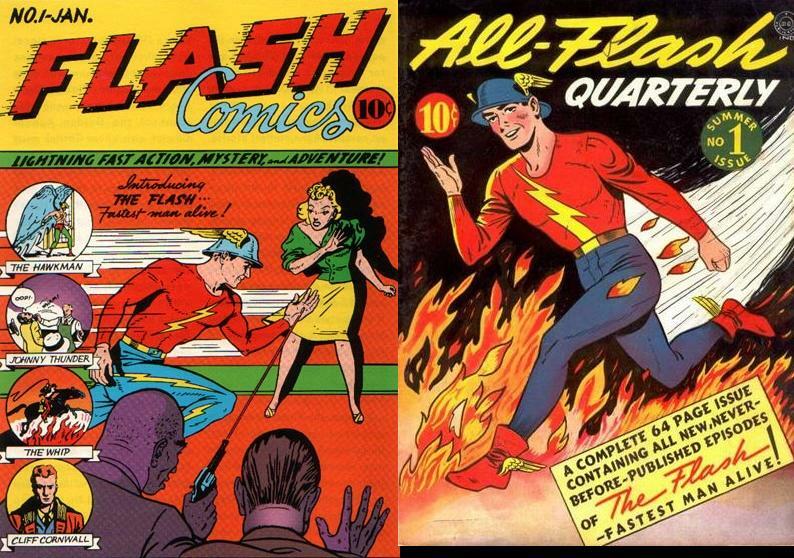 The originals; Flash Comics (1940) and All Flash Quarterly (1941). Here are the ones that started it all. 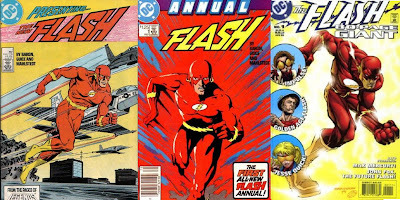 Flash (1987), Flash Annual (1987), and Flash 80-Page Giant (1998). So begins the Wally West era. We didn’t skip Barry; he didn’t start with a number 1 issue. Flash Fastest Man Alive (2006), All-Flash (2007), and Countdown Special Flash (2007). 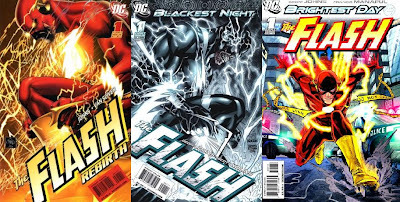 Starting with Bart’s run on the Flash and the series all about the aftermath of it. Poor Bart, I actually was liking his move to California before everything went oh, so wrong. Flash Rebirth (2009), Blackest Night Flash (2009), and Flash (2010). The return of Barry Allen and all the series involving him. I’ve obviously left out some number 1s; I didn’t include either Flashpoint series for some reason. I left out the first 80-Page Giant too, just because of the lack of a number 1 on the cover. Come back next week for the full Hero Con report. I think I'm going to take Saturday off, so there most likely won't be an update tomorrow.